The Bovisa Durando campus, which houses the School of Design, was built at the end of the 90s on the site of “Ceretti & Tanfani”, a historical company that produced cable railways, and which resulted in Bovisa developing as a working class district. The place forms part of the historical memory of the community residents. Today it is a green space with places to sit and a café. In Spring and Summer many students sit outside, enjoy the sun and take part in outdoor activities. The campus remains an “island for students” and most of the people who knew the place as a former industry do not have the chance to see how it has been transformed. The two types of ‘users’ (the university community and the local residents) have very few contact points in common. The potential for improvement that the campus could have offered was huge, but unfortunately it did not succeed in fulfilling it. Coltivando is attempting to change this by trying to re-connect to the agricultural tradition this area had before the Second World War, that today has totally disappeared. Coltivando has four main goals and output aims: social, spatial, productive and educational. Social: to enable two kinds of community to make contact (university and neighbourhood) so as to give an added value not only to the campus but also to the district. Spatial: dedicating some of the green areas on the Bovisa Campus to a gardening activity means giving a new function to a place. Productive: gardening means first and foremost producing food. Educational: the Coltivando project was one of the first attempts in the Politecnico di Milano School of Design to force the two different design perspectives, Spatial and Service Design, to work together on the same topic. Initially the main design team comprised 2 senior designers. They were helped by 3 graduate students in Interior Design, and 2 graduate students in Product Service System Design, who developed the service project. As well as the main team, a pool of satellite-assistants provided their own contributions according to the expertise required. Below, the history of the project outlines the main areas of competence involved throughout the process. Coltivando took over 12 months to develop. The first indications of interest for a community focused on a vegetable garden began in the Fall of 2011 when 5 students out of 60 created a test garden for the community to interact with. This demonstration experiment came out of a week-long workshop called “Temporary Urban Solutions”. Then, a design research team was established. The designers organised three co-design sessions between May 2012 and June 2012. The first was an academic workshop involving people studying and working in the University, the others were community consultations open to local stakeholders and people from the Bovisa neighbourhood. 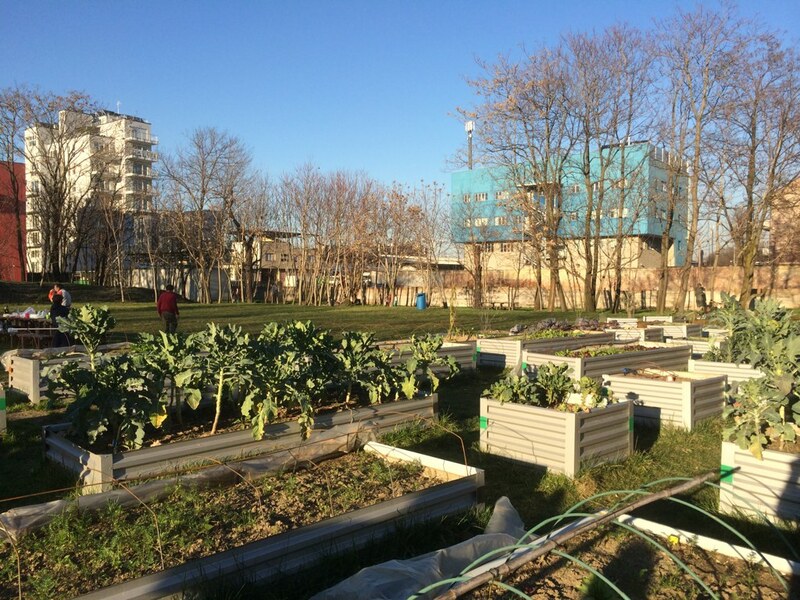 The community centred design approach (Meroni, 2011) was used to engage various stakeholders in the university community as well as in the community of Bovisa, and several tools were developed to enable many people to design their own garden. At the end of the three co-design workshops, designers used feedback from about 100 people (experts and beginners, academics and residents) to adjust the first design proposal for the space and for the service model of the garden. One year after the opening, the community of Coltivando totals 25/30 permanent members and an ever-increasing number of visitors who occasionally participate in maintenance activities, taking advantage of the opportunity to spend some time in a public green area and enjoying it. The role of design is crucial for Coltivando project. Coltivando is a design experiment conceived within the framework of two research programs run by POLIMI DESIS Lab, a member of the Desis Network, at the Politecnico di Milano, Design department. Within this framework, the research focus was oriented to make two different design areas work together on the same project. In fact, it was a didactic and research experiment to combine Service Design and Spatial Design competences to understand how they can enhance, as well as constrain, each other both in terms of the designers’ competences and design results. Since the beginning, Coltivando has had two sides: it includes design elements that are both “hard” (spaces, infrastructures, garden beds, etc. ), and “soft” (service, actors, duties, timeframes, etc.). Because of the infrastructures, buildings, boundaries and gates, the campus appears to be a difficult place to enter and enjoy for the people of the neighbourhood: sometimes public space is not obvious. Davide Fassi (researcher and professor in Interior and Spatial Design), and Giulia Simeone (researcher and professor in Service Design). “Temporary Urban Solutions” workshop was held by prof. Davide Fassi and provided by the MSC Product Service System Design at the School of Design of the Politecnico di Milano. 5Helped by Emily Ballantyne Brodie, a practitioner from Urban reforestation, Melbourne too.